Dubai Autodrome circuit is one of the most modern in the world; it is also one of the most challenging, as it has a combination of high-speed straights and technical corners. The venue is part of the Union Properties Motorcity development in the greater Dubailand area. Track experiences give the chance to sample race cars and supercars through the Race & Drive Centre – a perfect place to hone skills and develop better driving abilities. Starting from January 2017, Dubai Autodrome began their search for a digital marketing agency, to prove that digital marketing is the way to gain more return on investment. This was the first time that Dubai Autodrome have considered Digital Marketing and this was Eminence’s chance to prove that it is the right direction to go. They were wanting to use digital marketing techniques in order to generate clicks to their website to book a driving experience around their circuit track, through the use of Google Search and Display. Other options were available such as Facebook and Instagram campaigns, however due to the introduction of digital marketing for Dubai Autodrome, this was an alternative option and Eminence felt that the Search campaign would generate quicker results in 1 month. We began by analysing the market and behaviour of the target. We recognised that we needed to focus our efforts on specific keywords to reach a more targeted audience that were not only looking for things to do in Dubai, but also Bachelor parties and experiences. In doing such a targeted campaign, we were able to produce keywords that had a lower cost per click (CPC). 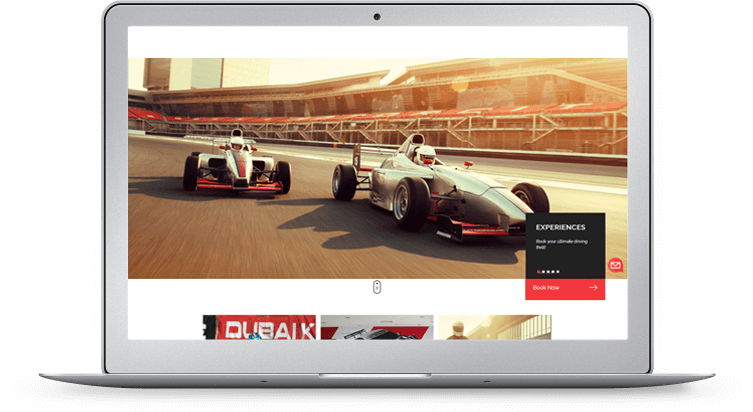 The campaign needed to be short and sharp to produce results that would convince Dubai Autodrome that this was the best use of our digital channels to produce leads, as they had not use digital marketing before to market themselves. Through choosing both display and search campaigns on Google, we could target a wider range of audiences in Dubai. We looked at Dubai Autodrome’s presence online and they had a good, visually attractive website, that was easy to create eye catching banners to encourage the user to click on the banner advertisements. This gave us a clear idea of the type of branding and identity for our design team to create the banners for the campaign. Eminence used our design and creative skills that enabled us to generate high quality banners that attract the audience’s attention and encourages clicks on the banner. With only 1 month, our team closely monitored the progress of the campaign and soon started seeing results for both the search and display campaign through actual bookings received online. Eminence managed to protect the positioning of Dubai Autodrome on Google and kept a competitive advantage on keywords compared to other similar activities in Dubai. Within 1 month, the search and display campaign generated 62 conversions. These amazing results led to the extended contract with Dubai Autodrome who are now working with Eminence on other campaigns, but with an added element of retargeting.